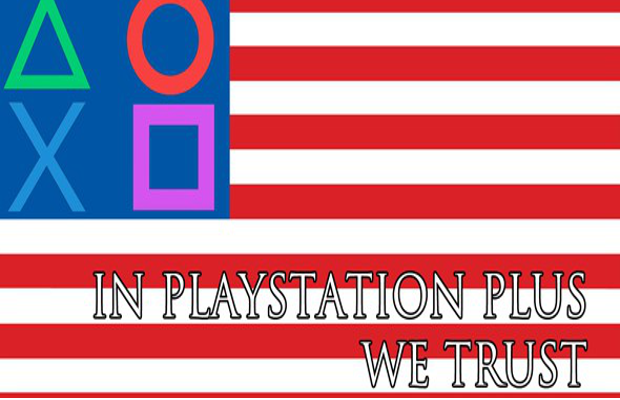 In a surprise move (suspiciously immediately following additional outrage at Microsoft’s DRM plans), Sony announced that three additional games are coming to Plus. This is in addition to the others that are already on their way for the rest of the month. Prepare you hard drives for Uncharted 3, XCOM: Enemy Unknown, Machinarium, and LittleBigPlanet Karting—yes, all in one week. As if Deus Ex: Human Revolution last week wasn’t enough, we get another insanely good Triple-A title for the second week in a row. As you’ve likely heard (or experienced), Naughty Dog’s franchise takes the old Tomb Raider formula of platforming and puzzle solving in ancient ruins, and injects it with outstandingly well-written characters, engaging storylines, and incredible action sequences that rival the biggest summer blockbusters. Uncharted 3 might not be as air-tight perfect as its predecessor, the ridiculously good Uncharted 2: Among Thieves, but that’s just like saying The Godfather isn’t as good as The Godfather Part II; both are outstanding, and both are worth experiencing. The third entry in the series takes a bit of time to get going, but it does boast some of the most exciting sequences of the entire franchise. The escape from the Chateau, featuring an ocean of fire and a massive wave of ravenous spiders, is arguably my favorite sequence from the trilogy and is absolutely heart-stopping. Really, this is just an all-around fantastic action game, equally thrilling, challenging, and head-scratching, and absolutely worth the hard drive space. Enemy Unknown is a ridiculously good strategy game from Firaxis. That’s right—the same Firaxis founded by Sid Meier and developer of Civilization, Pirates!, and Alpha Centauri. Just like the original XCOM: UFO Defense, this is a turn-based strategy title in which you move units across a small battlefield, directing them to take cover or open fire on enemies when possible. Specific units have specific abilities, such as sniper headshots or RPG shots. It’s important to take cover when possible and know when to retreat and when to look for an opening. It’s incredibly deep. In between missions, the XCOM base can be directed to conduct specialized research, which can do things such as increase the body armor for soldiers or increase firepower against aliens. It’s important to consider these upgrades, just as it is important to consider which of the missions is best to embark on with the current setup. Enemy Unknown is an extremely challenging game that does not pull any punches; if the aliens have a line of sight, they will open fire, and they may very well kill one of your soldiers in the process—and he stays dead. Surprisingly, the game does translate well to the console, and commands feel natural on a gamepad. If there’s any one game you should download this week, make it XCOM. Literally what it sounds like, this game is sort of a combination of LittleBigPlanet and ModNation Racers, combining the characters and customizability of the former with the racing and additional customizability of the latter. It’s a fun game to play around with and build some extremely cool creations, as well as go online and see what other players have cooked up. The possibilities are endless when it comes to the possible creations, and some players have made some incredibly creative tracks and karts. Of course, as good as the editor is, the actual racing is rudimentary and vanilla at best. Power-ups are okay, but not so much fun to use. Overall, this is a fun creation tool that is ultimately hard to care about given the lack of excitement in the actual gameplay portion. Stick to LittleBigPlanet or ModNation Racers, but skip the mashup. Machinarium has much more going for it than the delightful hand-sketched art style. This is a mashup of adventure game, puzzler, and hidden-object game about a small robot making his way through a wasteland of garbage. It’s extremely charming with its art and vibrant sound effects, even if the puzzles sometimes dissolve into trial and error. Unfortunately, as this is a point-and-click adventure puzzle game, the transition to PS3 is not smooth. The cursor is freely controlled on the screen by the left stick, which simply feels awkward when it was so clearly designed for a mouse. Even the Vita would have better served the game, but as it stands on the PS3, the enjoyment factor is reduced somewhat by the fact that it simply doesn’t belong here. Check it out, but not on PS3. E3 is this week, and as if whetting your appetites with the PS4 wasn’t enough, Sony is also giving us a slew of deals and discounts, with further discounts for Plus members. Here is the list from the PlayStaiton Plus blog.